PRINCETON, N.J. & CAMBRIDGE, Mass. 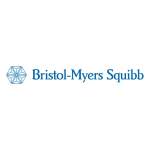 PRINCETON, N.J. & CAMBRIDGE, Mass.--(BUSINESS WIRE)--Bristol-Myers Squibb Company (NYSE: BMY) and LabCentral, an innovative, shared laboratory space designed as a launchpad for life-sciences and biotech startups, today announced that Neutrolis and Remora Therapeutics are the winners of Bristol-Myers Squibb’s 2017 Golden Tickets for LabCentral. As a platinum sponsor of LabCentral, Bristol-Myers Squibb can select up to two innovative life-sciences and biotech startup companies per year of active sponsorship for “Golden Tickets,” which underwrite the cost of one lab bench for one year in LabCentral’s Kendall Square facility. Remora Therapeutics is a preclinical-stage biotechnology company focused on developing novel platelet-based cell therapies. Platelets are best known for their role in blood clotting, but they are also involved in the pathogenesis of many major human diseases, including cancer and conditions of autoimmunity. Remora’s proprietary technology is designed to engineer platelets to fight disease, and improve the quality of life for patients living with debilitating illness. LabCentral is a first-of-its-kind shared laboratory workspace in the heart of the Kendall Square, Cambridge, biotech innovation hub. Designed as a launchpad for high-potential life-sciences and biotech startups, it offers everything startups need to begin laboratory operations on day one and move their science forward faster and more cost-efficiently. This includes: fully permitted laboratory and office space, first-class facility and administrative support, skilled laboratory personnel, a domain-relevant expert speaker series ‒ as well as the other critical services and support. 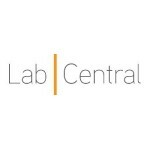 A private, nonprofit institution, LabCentral’s first site opened in 2013, thanks to a capital grant from the Massachusetts Life Sciences Center, with support from its real-estate partner, MIT. Founding sponsors include Triumvirate Environmental and Johnson & Johnson Innovation. To accommodate demand for its growing startups, LabCentral, with support from Pfizer, Inc., plans to open LabCentral 610 in December 2017. In 2018, LabCentral will have capacity to serve a total of ~450 scientists and entrepreneurs in about 70 companies across its two-building campus.